It's official: Concrete flooring has moved out of the garage and into the home. Though it's undoubtedly a durable material, cleaning its finish requires finesse. Here's what to know. Concrete floors are no longer found only in garages and basements. With elegant finishes now available—like stenciling, staining, and texturing—they’re also showing up in kitchens, bathrooms, and even living rooms. 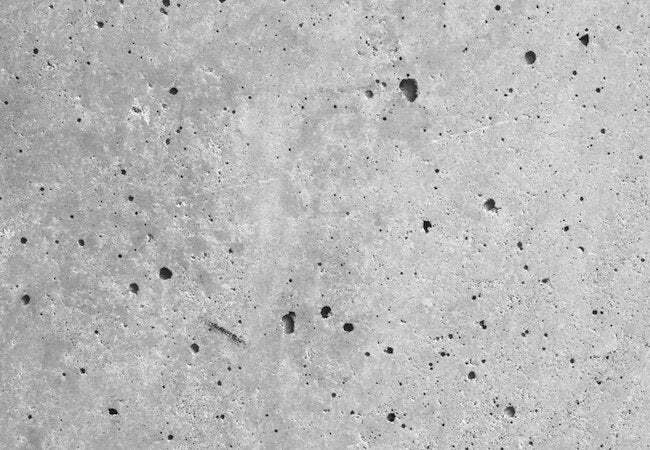 Even though concrete itself is durable, its finish may not be so tough. So when you set out to clean a concrete floor, you need to take care. For routine upkeep, a soft dust mop or vacuum is usually fine. To get at more stubborn messes, try using a sponge saturated with water and dish detergent. When you’ve cleared the mess, rinse with plain water and dry the floor immediately to avoid any discoloration. Cotton cloths are best for drying, as synthetics might scratch the finish. If you need to pre-treat a particularly tough stain, use a pet stain-and-odor remover; these products contain organic compounds that will dissolve the stain without harming the finish). Before applying your chosen solution, remember to test it first in an inconspicuous spot.